In the 1870’s several international efforts were underway to develop the world’s first practical incandescent light bulb. Most notable were Swan in England and Thomas Edison in the U.S. Edison was successful and won a patent in 1879. 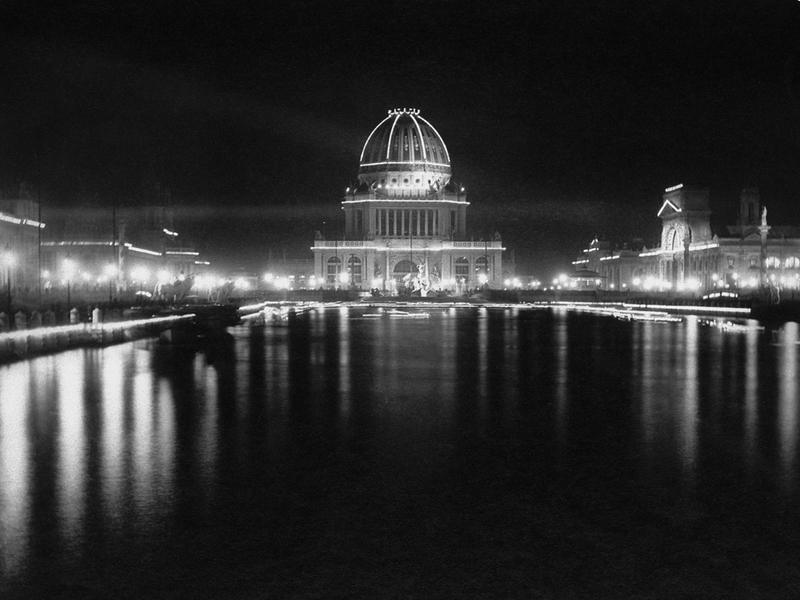 The Colombian Exposition of 1893 was set to take place in Chicago in that year. The electric light was to be a centerpiece of new technology. Both Edison-General Electric and George Westinghouse wanted the contract to illuminate the event. Whoever won would likely see a surge in interest and new business for their company. Westinghouse had already been supplying lamps through a business acquired from the Consolidated Electric Company which owned a short-life carbon filament patent from Sawyer and Man issued in 1885. Because of this ownership position and the significant effect a winning bid would have on the then pending Niagara Falls hydroelectric power generation project, Westinghouse entered a low bid to secure the exposition contract. Edison was furious to lose to his competition, especially since Westinghouse was going use A.C. (alternating current) versus Edison’s D.C. (direct current) system. The exposition company was set to save about $1,000,000 but was taking a serious risk on Westinghouse’s ability to deliver on-time. When Westinghouse was notified of his winning bid, he attempted to purchase the necessary longer-life lamps from Edison-G.E. However, he found that his purchase order was rejected! No G.E. lamps were available to him! What to do…less than a year remained to fulfill the contract. The courts sustained this blockage and refused to require Edison-G.E. to license the Westinghouse Electric Company for manufacture or to sell lamps to them. The need for a non-infringing lamp was immediate and urgent. Fortunately, Westinghouse engineers were working on a 2-piece variation of the Sawyer-Man lamp. This lamp did not use the 1-piece Edison fused-glass seal but instead used a ground-glass “stopper” mated to the bulb envelope for sealing. Thus originated the Westinghouse “stopper” lamp. Trials indicated that the lamp would have a limited lifetime, but adequate for the exposition and long enough for his other needs until the Edison patents expired. Facilities to produce 250,000 lamps were ramped-up and the Fair opened on-time to everyone’s joy and amazement. It was said to be a beautiful sight to behold in 1893. The Westinghouse lamp not only lit up the World’s Fair, but inspired a young Douglas Perham, in attendance at the Fair, to start collecting. 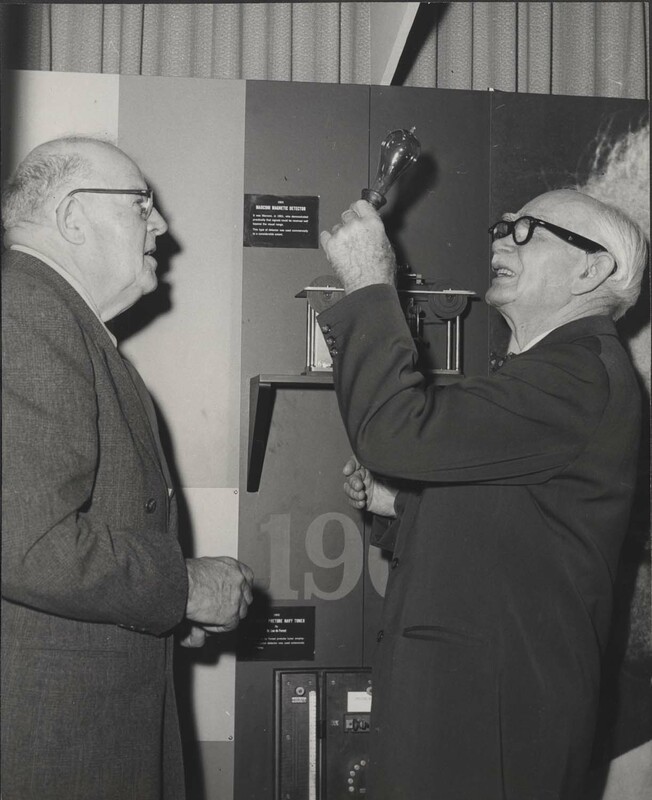 According to Perham, George Westinghouse gave him a burned out light bulb, advising him, “If you keep this until you are an old man, it will be very valuable.” This original bulb is still in the Perham Collection of Early Electronics at History San Jose.